I can’t speak for anyone else, but I reckon those marketing men are on to me. As revealed in my recent post, we cyclists are apparently the most materialistic of all the exercise groups (which is a strange turn of phrase isn’t it…exercise groups?). I don’t know the background to this claim – whether it’s based on extensive data analysis, or simply an assumption that we all strut around in our Rapha kit admiring our carbon bikes (heaven forbid) – but that’s what they say. I have been known to have my head turned by shiny things, gadgetry, and cycling specific pseudo-science; we all have our weaknesses, after all. 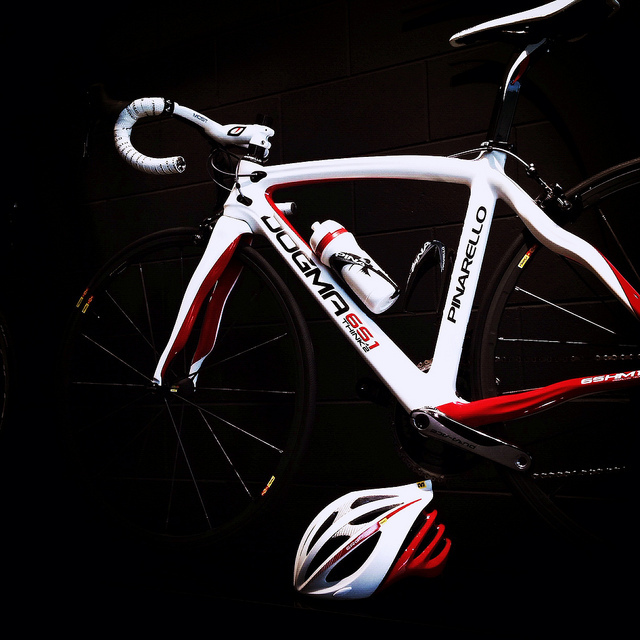 The cycling industry (and it’s ever growing online presence) presents us with a relentless merry-go-round of innovation and must-have wizardry, which I assume is aimed squarely at me, my friends, and maybe even you (? ), with the intention of parting money from wallet. I must confess, from where I’m sitting they seem to be having some success! But even I – admirer of shiny things – am starting to become weary of some of this stuff. As for the disc brakes, do we need these? When my local bike mechanic took out my bike for a test ride recently following a piece of routine maintenance, he pulled gently on the lever of my caliper brakes and was so taken aback by the raw braking power that he was very nearly deposited into the prickly heart of a roadside hedge. There is a limit to the amount of stopping power a road bike needs. To my mind, this limit falls well short of disc brakes. Am I starting to sound a bit cynical? Don’t get me started on saddles. I reckon that, bar the odd cosmetic tweak here and there, the bike saddle has probably developed about as far as it really needs to. Each new innovation is now nothing more than a slightly different material, a subtle refinement of shape, or simply a high concept piece of marketing guff. Ultimately, it’s still the padded bit that you perch on, as it always has been. 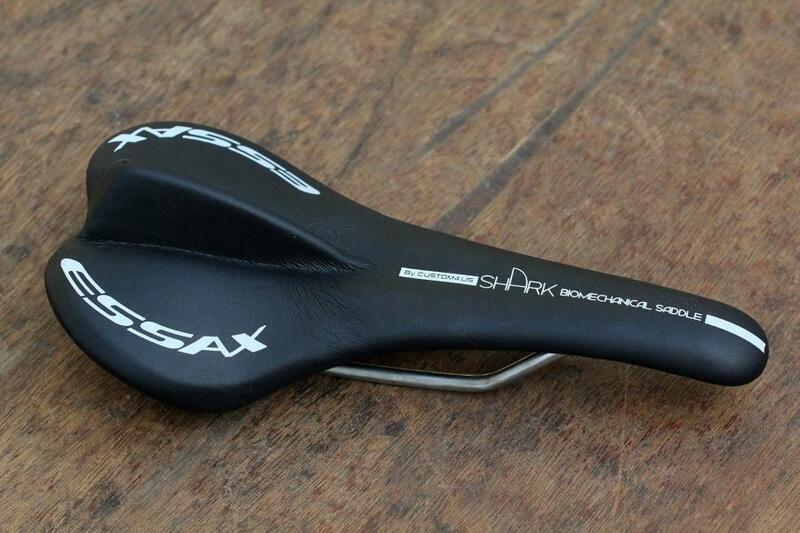 So why, oh why, is someone trying to convince me that I need the Essax Shark saddle? It’s a bike saddle for masochists, and no amount of marketing is going to convince me otherwise. It’s surely second only to ‘no saddle’ in a list of the most uncomfortable ways to spend a couple of hours on a bike. The more I write, the more I’m beginning to realise that although I thought I was in thrall to the marketing men, it turns out I have a healthy suspicion of all this stuff after all. It still doesn’t explain why the contents of my bank balance get frittered away each month; and actually, where is all this leading me? Am I about to regress, abandon the world of cycling innovation, and find myself browsing the vintage bikes section on e-bay? Am I at risk of getting dewy eyed about lugged steelwork, down-tube shifters, triple butted aluminium, and woollen clothing? Oh well, at least I’ve got the Facebook page to keep me up to date (nudge, nudge…).